Happy Easter from Busy Things! We’ve had great fun creating a lovely set of Easter activities for children to enjoy over the Easter holidays! From Easter colouring sheets to code-cracking to Easter crafts, there’s something for kids of all ages! 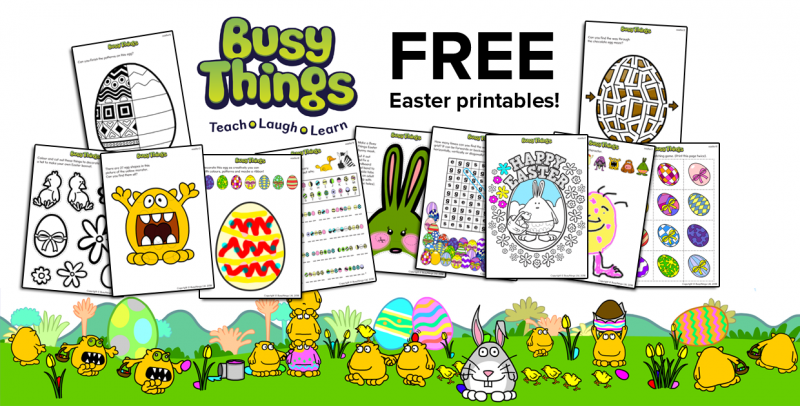 What’s in the Free Easter Activity Pack? Looking for some Easter activities for children this holiday? 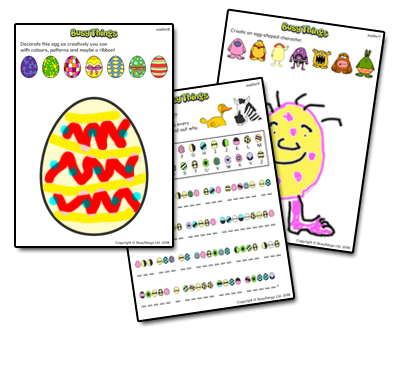 Look no further than our FREE pack full of Easter things to make and do that children will love!…. Easter Colouring Page – Our bunny is surrounded by Spring flowers, just waiting to be brought to life with some colour! Why not use it for the front of an Easter card? Egg-mazing egg maze – Can find your way through our chocolate egg maze? Monster Egg-finder – It turns out our Yellow Monster is basically a mass of eggs shapes! But how many? Create your own egg-stra special character – an egg shape it a great start to any character design, many of the Busy Things characters began as a simple egg! We invite you to get creative and see who emerges from your egg! Decorate an egg– eggs-periment with patterns and colours! Crack the egg-code! – Older children will enjoy cracking our egg-based code to reveal a secret message – it may be a a little odd but we’ve used every letter in the alphabet to create it! Classic Easter Egg hunt – how many eggs are hidden in our Busy Things scene? Eggs-ellent wordsearch! 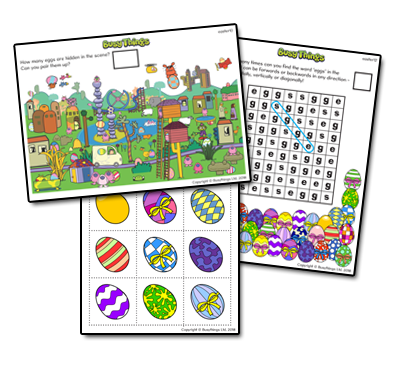 Our Easter twist on a wordsearch will keep older children hunting for a while! How many ‘eggs’ can they find? How to access your FREE Easter Activities for Children? 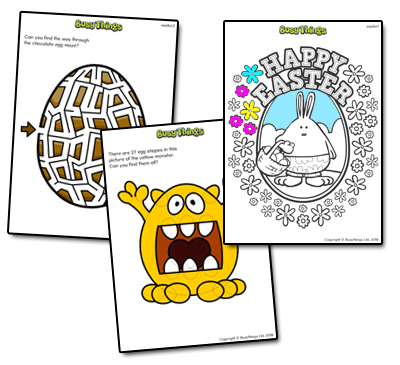 Access your FREE Easter Activity Pack now! 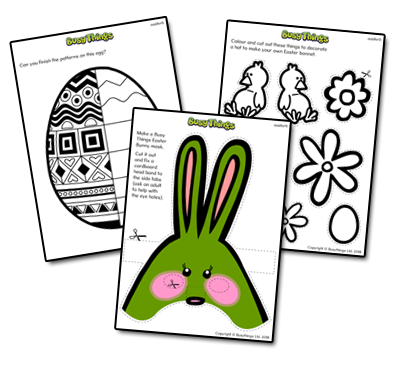 You can access this Easter Activity Pack within Busy Things along with our Easter Egg Colouring activity and lots of worksheets on the Easter Story.